Last month we urged you to pre-emerge………January and February remain the best months for application of pre-emergent to inhibit garden weeds. You have plenty of time left to fight this war if you’ve not yet had time to mount your defense. (March applications will help prevent broad-leafed weeds.) 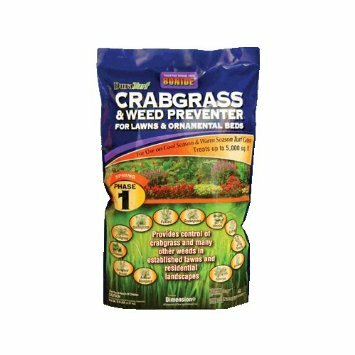 BONIDE CRAB GRASS & WEED PREVENTER is the ammunition for your turf. AMAZE granules may be used to keep weeds under control in your flower beds. Last season residents of Palm Springs were plagued with a white fly infestation on a gargantuan level. Ficus trees and hibiscus were most affected. Mount a solid defense against this resilient pest sooner than later. 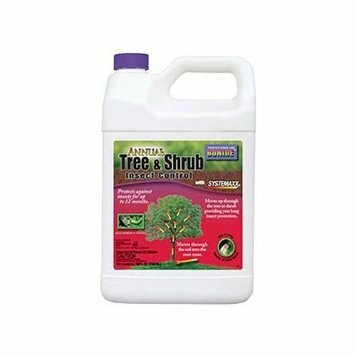 We suggest you pretreat withBONIDE ANNUAL TREE & SHRUB INSECT CONTROL. Once properly diluted, this soil drench is applied directly to the roots and is then translocated throughout the entire plant…….it keeps the bugs away working from the inside out. As always, it is imperative to follow application instructions completely. THIS IS A SYSTEMIC INSECTICIDE, do not to use it on any food products! BONIDE TREE & SHRUB is also a great safeguard against the agave beetle and this is the time of year to take action. The opportunistic mealy bug begins to take hold this time of year; it can attack just about any kind of plant or cactus found in a weakened state. Look for a cotton-like deposit hiding beneath the surface of your green plant or in plain view on infested cactus. First, determine what has caused the plant to be in distress and correct the problem. Next, treat the plant or cactus with BAYER ADVANCED 3-IN-1 INSECT DISEASE & MITE CONTROL—follow the instructions. BAYER ADVANCED 3-in1 also effectively defends against varieties of scale, spider mite and aphids, to name a few. Roses present a few additional obstacles at this time. Powdery mildew is inevitable in roses; BAYER ADVANCED ALL-IN-ONE ROSE & FLOWER CARE is a concentrated systemic product that also kills from the inside out with the added benefit of fertilizer. 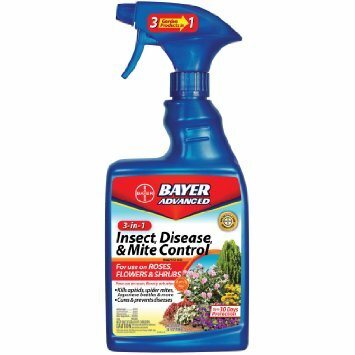 If you prefer to spray powdery mildew away, use the above mentioned BAYER 3-IN-1. New growth in the garden is the cue that bougainvillea looper and citrus leaf minor are soon to follow. The best option for control of these pests is CAPTAIN JACK’S DEADBUG. Look for distorted leaf growth as the tell tale sign. Your citrus trees are soon to be in bloom, if not already—DO NOT spray citrus trees with anything as long as blossoms are present. Allow fruit to set before you treat for leaf minor. DO NOT USE SYSTEMIC CHEMICALS on your citrus trees or any other edible plants in your garden. And one more thing about pest control. Grubs have become a real problem for palo verde in the Desert. They are welcomed with open arms when trees are overwatered, a rampant problem among established trees in the Desert. First, be certain you are watering correctly. Treat the soil through the spring with BAYER ADVANCED COMPLETE. There are few additional gardening tasks………FERTILIZE. This is one of the most important times of the year to feed everything in your garden. (The other being early fall.) PRUNE your shrubs to maintain a natural, pretty appearance. Do not trim citrus until the blossoms are gone. Water well every two to three days, one time a day. It is never too late to correct improper water cycles. The Desert is not a one size fits all environment. We are here to answer any and all questions and there are several new plants to entice gardeners serious and silly. Spring is the prettiest time of year in the Desert so enjoy.